WindowScape is a task oriented window manager designed to help people access windows as groups, as well as organize and manage individual windows more easily. WindowScape allows windows to be miniaturized down to thumbnail size and organized by the user. This temporally stable layout of miniatures allows people to leverage their spatial memory when searching for a window. To enable people to switch between groups of windows, WindowScape builds a timeline of window configuration states, and provides techniques to rapidly return to those prior configurations. In effect, these history states act as implicit, post-hoc window groups. It is implicit because the user never has to explicitly choose whether a given window belongs in a particular set. These decisions are only indirectly made through the history states the user decides to access. The groupings are post-hoc because the user does not have to make a priori decisions about where a window belongs. They can instead defer the decision until the last moment when they actually need to use access the group. 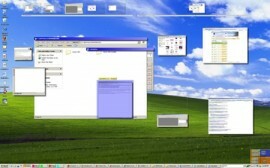 WindowScape also offers interesting techniques for accessing obscured windows while largely maintaining a stable display image, as well as enabling keyboard navigation among arbitrarily arranged objects. G. Oleksik, M. L. Wilson, C. Tashman, E. M. Rodrigues, G. Kazai, G. Smyth, N. Milic-Frayling, R. Jones., “Lightweight Tagging Expands Information and Activity Management Practices.” In CHI ‘09: Proceedings of the 27th international conference on Human factors in computing systems, April 2009. Craig Tashman “WindowScape: A Task Oriented Window Manager,” In, Proceedings of the 19th annual ACM symposium on User Interface software and technology. Montreux, Switzerland. October 15 – 18, 2006. 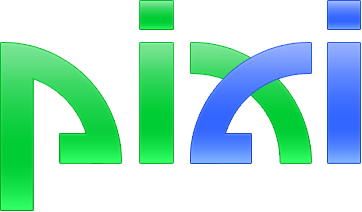 ©2004–2010 Pixi Lab. All rights reserved.